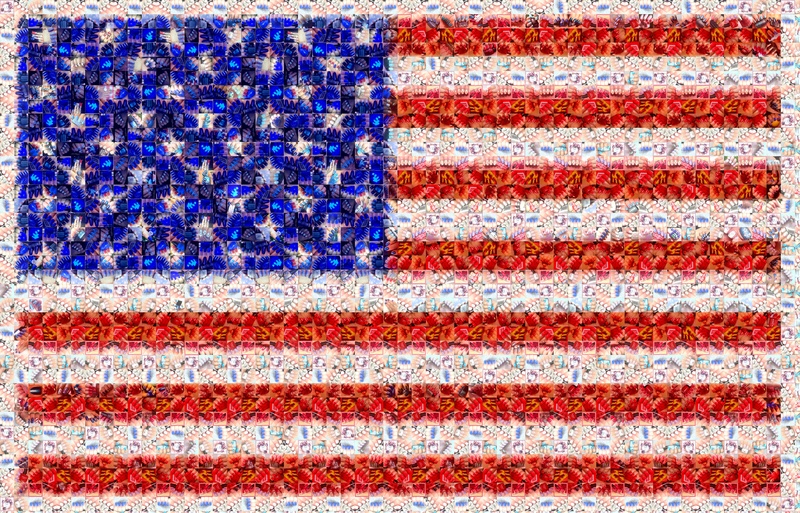 An EPIC (and a very patriotic one) mosaic of NAILS!! I wanted to give my thanks to many AMAZING nail artists who participated in my 4th of July’s mosaic project! Without you guys, this would not have been possible. I am hoping to be able to do another mosaic project for the month of August. Details will be posted soon on my Instagram account. Please click on the flag image – it will bring you to a bigger image where you can zoom in. I hope you like it! Please fill out this survey form. Thank you. 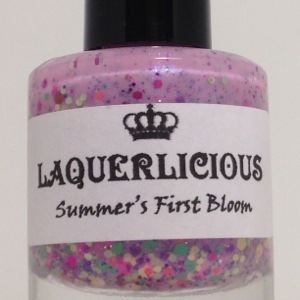 When I received Summer’s First Bloom by Lacquerlicious for review, my heart skipped a beat (in a good way!) Could this be? A lavender crelly packed with oh so colorful glitters? My purple loving heart leaped with joy and did cartwheels and went all “yes! yes!” on me. In addition to releasing her Summer Aquarium collection on July 1st, PolishTBH is bringing Stackz back and it’s bigger and better this time! It’s been reformulated to a thermal. Not just any thermal but this is a glitter packed jelly thermal. Jelly & thermal? Count me in! Stackz is a deep emerald green jelly base with micro holographic glitters, green and gold dots, and different sized green and gold glitters. Are you ready for the fun part? Stackz turns a deep green jelly when cold and then nearly disappears when it’s warm. This is definitely very different from the other indie thermals out there. Here’s Stackz when it’s exposed to warm elements. Hello beautiful dolls! 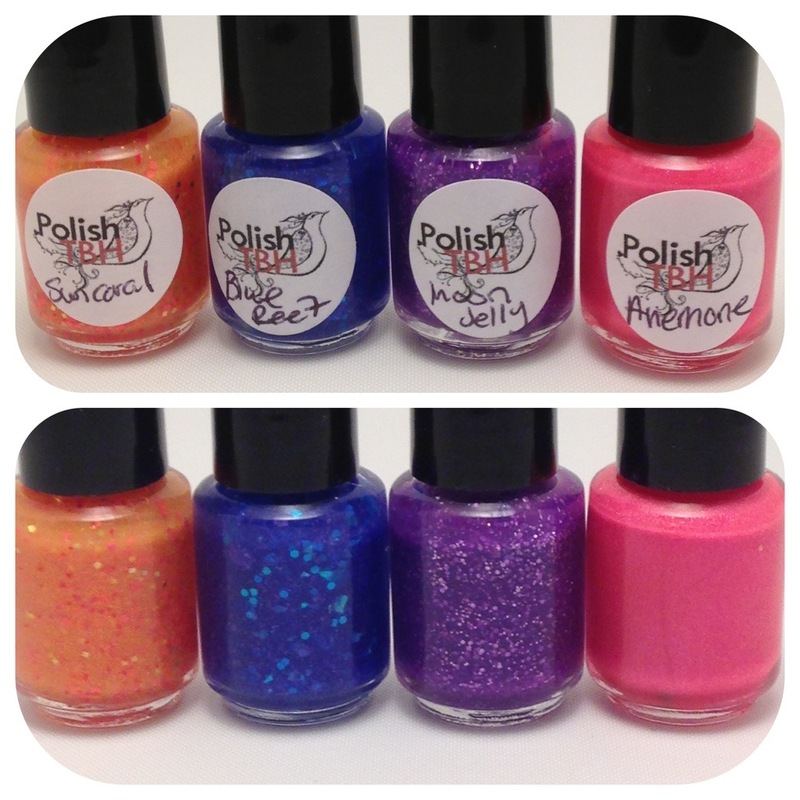 So excited about this pretty sweet aquarium themed collection by PolishTBH that’s going to be available on July 1st. 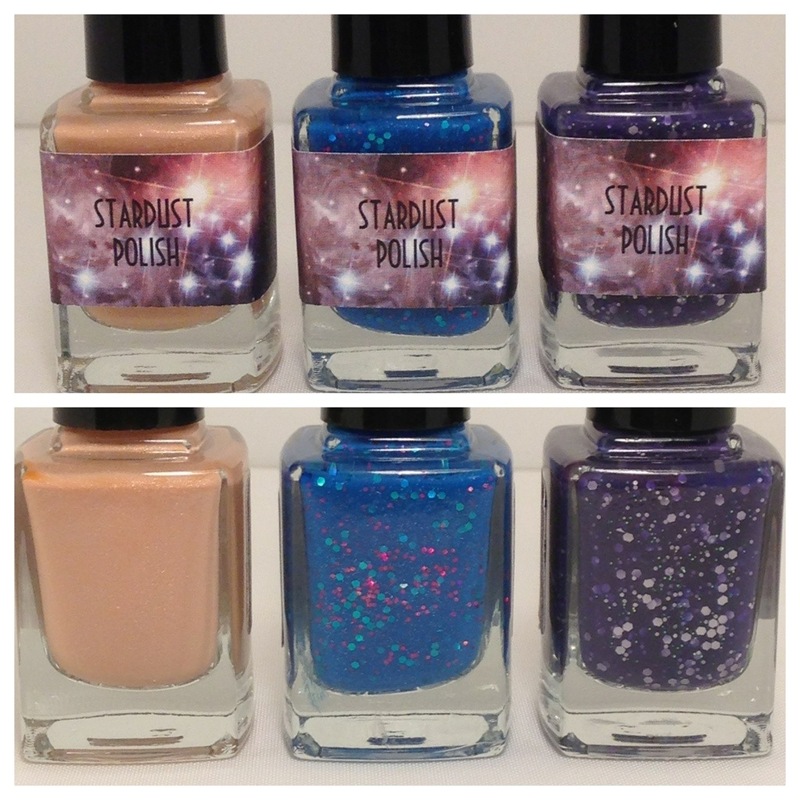 I was sent these four beautiful polishes: Sun Coral, Blue Reef, Moon Jelly and Anemone for review. PolishTBH’s Summer Aquarium collection is full of magic and beauty that one would see in an underwater world. I had this HTF (hard to find) polish sitting in my untrieds for well… a little too long. 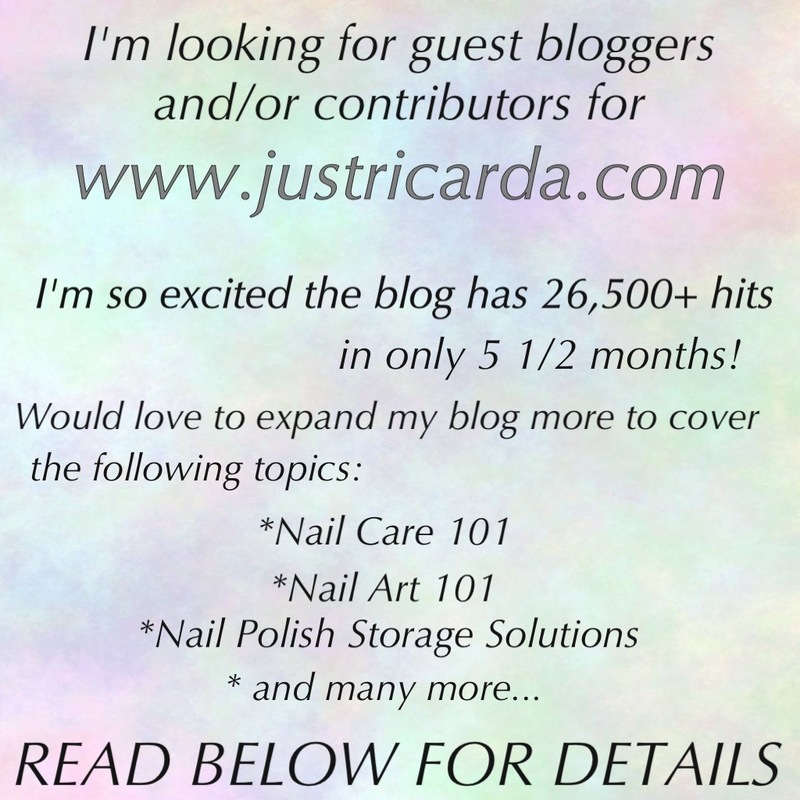 When I heard one of my amazing friends from the nail community on Instagram had Absolutely Alice as one of her long-time lemmings. I told her that I would swatch this ASAP and send it to her because I knew, in my heart, the odds of actually using this polish again was very slim. Absolutely Alice deserves to go to someone just as amazing and that would be Drema of Stardust Polish.